Believe it or not, styling your hair is still possible even if you have damaged hair. The secret is in finding the right hair tools that can let you style your hair without breaking its strands or irritating your scalps. With that, allow us to share with you the top products that aced our search for the best brush for damaged hair. 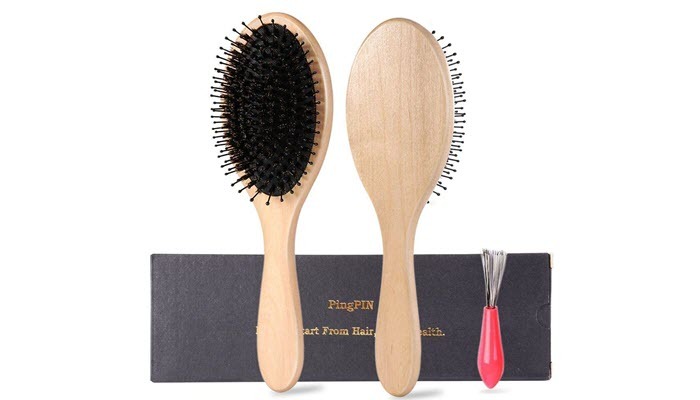 PingPin Hair Brush-Boar Bristle Hairbrush can reduce your hair loss and improve the quality of your hair. 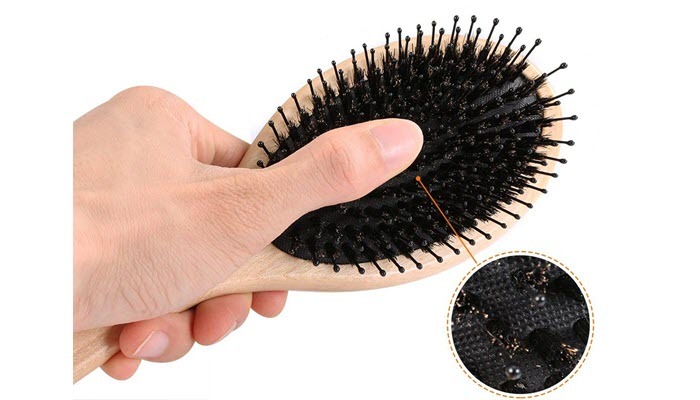 It’s because this brush can increase blood circulation while taking out knots in the hair. You won’t feel any tugging or pulling with this product. 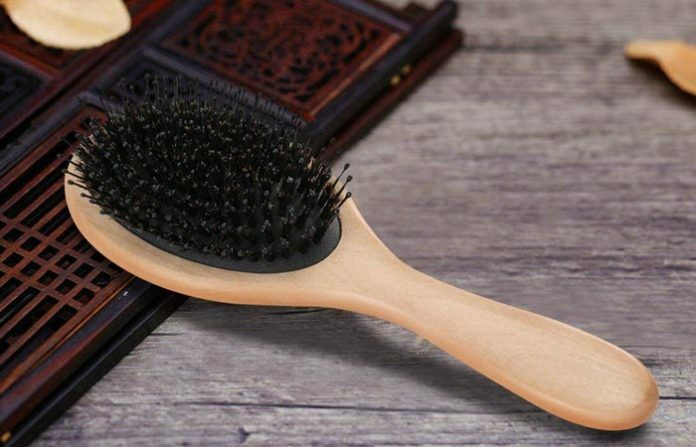 Apart from better blood flow, this brush can also clean your scalp from dandruff. It can distribute the natural oils of your hair as well so that it’ll stay silky and healthy. When it comes to the actual product, this brush has a beech handle which makes it easy and comfortable to hold. It’s quite durable, too. It’s made with materials that have been processed with anti-static treatment. MexiTop Hair Repair Laser Growth Brush is an interesting product. It has this unique Ice Core Technology which enables both dry and heated hair to become cooled and moisturized. With that, it helps repair damaged hair. Use it for a while and you’ll notice your hair feeling reborn with better texture and definition. 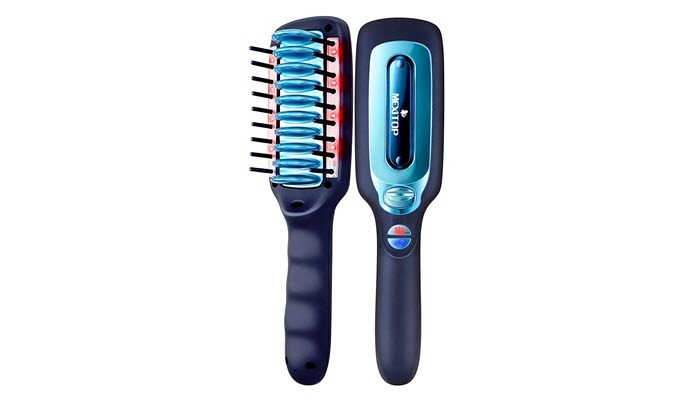 Apart from the said technology, this brush also has an Infrared Activated Hair Follicle Hair Growth Technology. So, if you have thinning hair or if you suffer from hair loss, this product might be able to help you. The brush comes with 1000mA battery which should be able to last for about 5 hours of use. That’s a lot of working time which is convenient even if you bring it to your trips. Spornette Large Oval Nylon Bristle Cushion Brush is actually a detangling brush. It’s designed to glide through the hair with ease to remove knots and tangles without pulling the hair. It’s gentle even for people who have sensitive scalps. Now, the nice thing about this brush is that you can also use it for your extensions and wigs. If you wear any of them while waiting for your damaged hair to grow, you’ll find this brush handy. It won’t break hair strands or cause split ends. 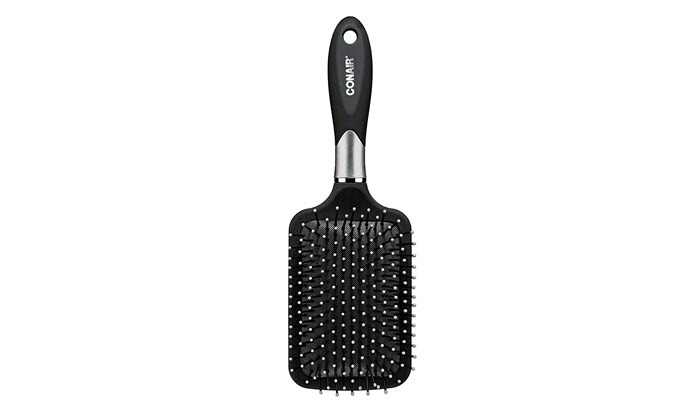 Conair Velvet Touch Paddle Hair Brush is great for all hair lengths. It has ball tipped bristles which eliminate pulling and snags when brushing. The brush works well on both dry and wet hair. Even if you use it after showering, you won’t have to worry about it causing further damage. If you have really thick hair, this is the brush you should invest in. Its bristles have the right length to really get through the strands. At the tips, you’ll see little balls which are meant to prevent breakage. They are very cushioned and that takes a lot of stress off of your hair. Of course, these features don’t mean that you can brush your hair with excessive pressure. 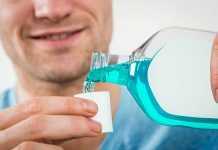 Even if its bristles are cushioned, you still need to be gentle. Choosing the right brush for your weak hair isn’t as easy as it sounds. You see, for you to be able to safely style your hair, your brush needs to have the right materials and quality that won’t compromise your hair. Plastic brushes can generate static electricity which can be a bad thing for damaged hair. Instead of plastic, choose brushes made of natural, carbon, flexible nylon or titanium bristle brushes. They are good because they possess almost the same surface structure as your hair. As a rule of thumb, if your hair is thick, go with a brush that has wide-spaced bristles. If your hair is thin, go with a brush with a higher density of fibers. This is to make sure that your brush won’t cause more stress to your hair. A natural boar hairbrush is great for the scalp since it stimulates blood flow and evenly distribute natural oils across the hair. It’s recommended for dry and thick hair. 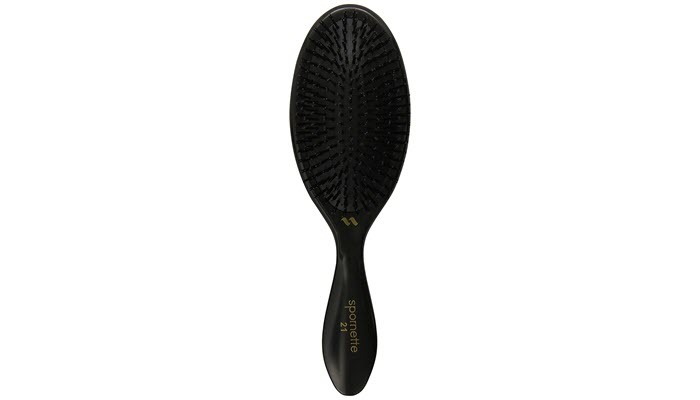 A paddle brush, on the other hand, is good for both wet and dry damaged hair as it helps untangle knots well. With its wide-spaced bristles, it can reduce breakage and prevent frizz. A skeleton brush glides through the hair really well with its wide-spaced bristles. It’s able to provide more volume and care to your damaged hair. Additionally, this type of brush is also easy to clean since it has fewer bristles. A nylon brush is good for thin hair because it encourages a better grip on the strands. It can also untangle knots well. In our search for the best brush for damaged hair, we placed PingPin Hair Brush-Boar Bristle Hairbrush as our top pick. 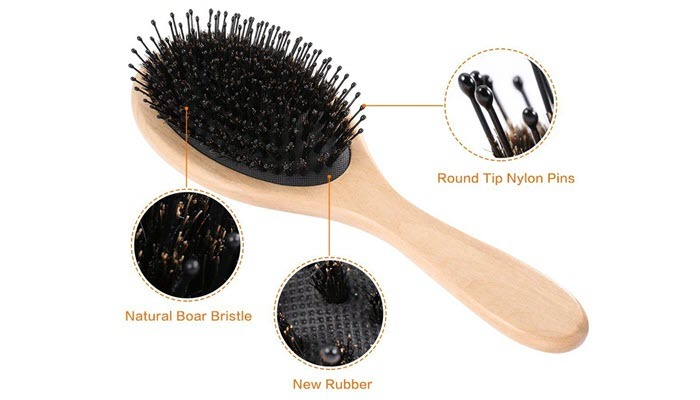 Apart from its boar bristles that are designed to reduce hair loss and boost blood circulation, this brush can also help clear your scalp. It’s durable and has an ergonomic design for ease of use. As a special note, keep in mind that damaged hair requires more care whether you’re styling it or not. Make sure to use hair tools designed for your hair type, like hair dryers for damaged hair. Also, treat your hair frequently with a good hair mask and use the right shampoo for your delicate hair as well. You may also want to use a conditioner that can stimulate hair growth for added volume. Minimize its exposure to heat and apply a moisturizing hair serum to restore its natural shine and health. Don’t spend a long time styling your hair with hot tools as that can turn your hair strands brittle and more vulnerable to damage.